A Game of Dwarves puts you at the head of a dwarf settlement and gives you complete control of building a new and thriving dwarf civilisation. 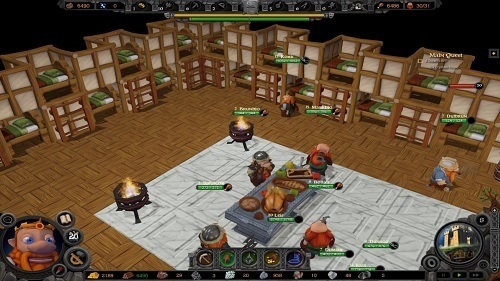 The game was released in 2012 by Paradox Interactive and draws inspiration from hits such as the Dungeon Keeper series and the increasingly popularity of Dwarf Fortress. Players play as the dwarven prince who is sent on a journey of epic proportions. You are given the task of reclaiming your ancestors once great lands from the dark and evil magic that has slowly pushed your fellow dwarves away from their home. This journey is filled with a variety of levels where you will encounter a large number of enemy types and discover hidden secrets that have been lost for eons. In A Game of Dwarves players have complete control over their settlers who you can instruct to dig tunnels (both horizontally and vertically in the 3D levels), research new technologies, build rooms or train themselves into great warriors to protect the settlement when the time comes. As you would expect the further you dig downwards from your starting location the minerals become more precious and the enemies more ruthless. This requires the player to carefully manage their growth and increasing strength before digging into the depths of the level. The game offers random map generation to make for strong replayability in both the short (13 level) campaign and the custom game modes where players can set their own difficulty along with other map settings. 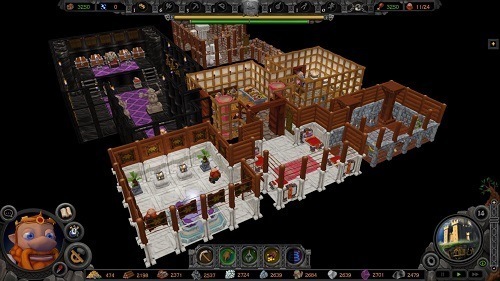 A Game of Dwarves will bring you back to the management and dungeon exploration gameplay made popular by the original Dungeon Keeper game and for the most part doesn’t disappoint. Fans of similar games will find there is a lot to love in the game and with the games price tag there isn’t any excuse to not grab it for a casual experience. Rebuild the once great dwarven kingdom. Set jobs for your dwarves from warrior to researcher and miner. Dig both horizontally and vertically in the large levels. Several DLC packs available to add more game content. I love the site. Quick acces to game with videos / trailer/ 1st impressions provided.